What is the Surrey HR Forum? Why should I join the Surrey HR Forum? Attend professionally-run FREE workshops, conferences and updates. Network with HR peers from a range of industry sectors in your local area. Receive priority booking invitations for the Surrey HR Forum Annual Conference and all other events. Learn from the professionals about the biggest opportunities (and threats) that affect your sector and your role in HR. 2018 saw several changes that affected the HR industry and with Brexit on the horizon, this event focused on the challenges that laid ahead in 2019. The speakers provided the latest insight into the changes that have, and will, impact the HR and recruitment industries in the months ahead. Delegates left with a good understanding of how the following could affect their sector and what they can do within their role as an HR professional to ‘make a difference’. The current talent crisis – how should HR respond? “I have been a member of the Surrey HR Forum for a few years now and always find the sessions informative and a friendly, and a welcoming and relaxed environment where you can refresh or expand your knowledge, and always feel comfortable to ask questions. Whether you are new to HR or a seasoned professional, there is always something to learn; I highly recommend joining”. “The Surrey HR Forum has been extremely useful to me. Having inherited the HR Managers role, the free workshops and Annual Forum are great for keeping on top of changes in Employment Law and to meet other HR Professionals to swap experiences and ideas. The discussions on the LinkedIn Page are always helpful and fun to read. I consider the Surrey HR Forum to be a ‘tool of my trade’. They have managed to get a great group of fellow HR professionals together in this forum and have brought in some very good and well informed speakers to regularly update the group on important and relevant changes in employment law and in HR in general. It’s always good to catch up with a good group of people too. Some of the meetings are termed as workshops and they are exactly that! Full interaction whilst we work in groups on a variety of scenarios. This, of course, lends itself to further exchanges of information and networking. Sharon said, at the first meeting I attended, that it was a conscious decision for all speakers not to use the Forum as an opportunity to promote their services and this approach has been constant. Application for membership of the Surrey HR Forum is simple and FREE. Click here to go to the Surrey HR Forum LinkedIn group page and ‘request membership’. Already a member and wanting to book an event? email us at surreyHRforum@therecruitmentconsultancy.com to request your place on any of these events. Workshop on Thursday 9th May 2019, 8.15am – 12.30pm. Workshop in June 2019 (date to be confirmed). The impact of our society’s shifting attitude towards discrimination brings new challenges for employers. This has been highlighted by the wave of sexual harassment claims we have all read about, as inspired by the #metoo movement. This will be a participative session looking at whether workplace banter is just a bit of fun or whether it is costing UK businesses. Where are the lines between a bit of harmless fun and something that is unacceptable? Further details on this popular workshop with Steve Herbert, from Howden, will be made available soon. Steve Herbert is an award-winning thought leader on Pensions and Employee Benefit issues. He is noted for his broad and detailed knowledge of the entire range of such offerings. His principal aim is better communicating the value and usage of employee benefits to employers. This he has achieved through many (highly successful) seminar series and his regular and widely read blog posts on the subject. He also regularly posts on business social media sites, and is strangely proud of the fact that he has not yet used an emoticon. Steve also acts as a judge in HR and Employee Benefits industry awards, article writer, and product innovator. Steve is a regular contributor to industry and DWP forums, and compulsive responder to formal Government Consultations on pension and employee benefit issues. He is occasionally accused of making employee benefits interesting. 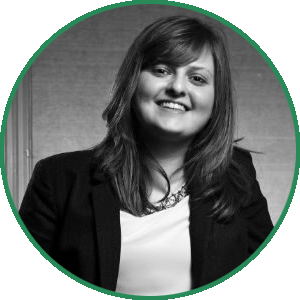 Liz joined the firm’s employment team as a trainee in 2007 and qualified later that year. She is an Associate in the Guildford office advising upon all aspects of contentious and non-contentious employment law for a wide range of employer and employee clients. Her experience includes discriminations and unfair dismissal claims; settlement (previously compromise) agreements; preparing and following disciplinary, capability and grievance procedures; redundancy procedures and corporate restructuring; advising clients on employment issues in sale and purchase agreements; outsourcing; drafting of personnel policy documents and working closely with Human Resources professionals to provide legal input where required. Liz works closely with a number of corporate clients to provide commercial and practical solutions to employment issues. Liz is a regular author of articles and bulletins on current employment law issues. She also provides clients with in-house training and runs HR forums. In particular, Liz runs a well-attended Human Resources forum for Independent Schools across Surrey and the surrounding areas which addresses some of the specific employment law challenges schools face. Liz is recommended in the Legal 500 where she is described as ‘intelligent, hardworking and never afraid to fight her client’s corner’. Sharon is the Founder of The Surrey HR Forum. She established the group in 2009 to add value to the HR community within Surrey. One of her main drivers in setting up the group was to provide informative events and an opportunity for members to network without being sold to. Events within The Surrey HR Forum are free to all members. As well as an annual event, it holds a programme of smaller more intimate workshops, the content of which is driven by the members through their feedback. She is proud to say that the group now has over 350 members and is continually endorsed through recommendation. 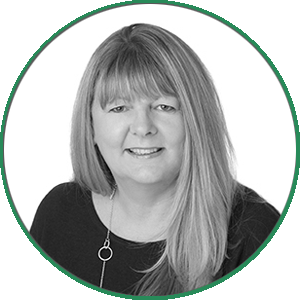 Having spent the majority of her working life in recruitment, Sharon became part of a team that set up The Recruitment Consultancy in 1997 and now runs the business as Managing Director. She is also a Fellow of the Recruitment & Employment Confederation having in excess of 30 years’ experience in the industry. For over 20 years The Recruitment Consultancy is renowned for securing the best talent for their clients in Surrey, Hampshire and Sussex. Sharon believes the business has something different to offer their customers and this is one of the reasons why The Recruitment Consultancy has become the first choice recruiter for many local employers and candidates. Been interviewed live on TV by Jeremy Paxman and Evan Davies on Newsnight as well as John Humphreys on Radio 4s Today programme. A sought-after commentator on the UK Jobs market by the Media with regular appearances in the FT, Times and Sunday Telegraph and Economist. Other Significant Roles Kevin was CEO for The REC from 2008 – 2018, during Kevin’s tenure the REC has been recognised with many awards, including the Trade Association of the Year Award in 2011. Kevin was given the Trade Association Leadership Award in 2012. Prior to his role at the REC, Kevin worked for the Royal Mail from 2003 to 2008. As HR Director, he was responsible for people strategy in a business with a turnover of £7 billion and employing 165,000 people across 2000 sites. Kevin was part of the leadership team which transformed the business from losing £1.5 million a day in 2003 to making over £700 million profit in 2007. Kevin was Managing Director of Qtab, a strategic HR consultancy that specialised in helping businesses to develop and implement people strategies. His clients included Lloyds TSB, First Choice, Fuji, Orange and Unilever. Kevin contributes regularly to broadcast and print media to provide insight on the UK employment market and the recruitment industry, including Newsnight, Radio 4’s Today, and Radio 5 Live’s Wake up to Money. 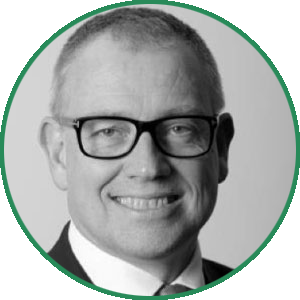 Mike Cole, a partner in the employment team at Penningtons Manches LLP, qualified as a solicitor in 1994, joined the firm as a senior solicitor in 1999 and became a partner in 2001. Mike specialises in all aspects of employment and discrimination law and he has a particular interest and expertise in the Transfer of Undertakings Regulations (TUPE) and business reorganisations. He regularly advises on new regulations, drafts employment contracts and handbooks and represents both employers and employees in the employment tribunal. Much of Mike’s work involves the careful handling of workplace disputes and advising clients on how best to navigate through the various employment laws to seek to ensure that claims are avoided or, if claims arise, that they can be defended in the employment tribunal. Mike is also often recommended to advise senior directors on termination agreements. 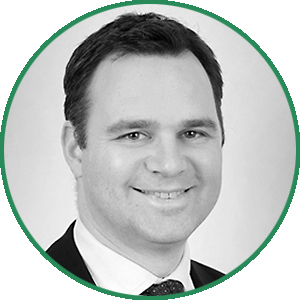 As a member of the firm’s technology sector team, Mike acts for many technology clients, in particular on TUPE and outsourcing matters. Other clients are from a wide range of sectors including professional practices, events management, manufacturing, automotive and financial services. Mike presents seminars on a wide range of employment-related topics, provides clients with in-house training, and is a regular author of specialist articles. He is a member of the Employment Lawyers Association, the Chartered Institute of Personnel and Development (CIPD) and the IOD. He has been recognised as a leading individual in his field and is described in the Chambers UK 2013 edition as someone whom his clients would “gladly recommend him to a close friend without a moment’s pause”. His most recent work highlights are advising a technology company on the allegations of serious harassment by a senior employee; defending a professional services firm against a claim of discrimination by a former partner; advising a technology company on the TUPE aspects of its outsourcing agreements with other businesses; successfully defending an international sales company in multiple employment tribunal claims; advising professional services firms on the impact of retirement ages for partners. Katie Buckingham is the Founder and Director of Altruist Enterprises; a passionate and caring provider of Resilience, Stress Management and Mental Health First Aid training to organisations and schools nationally. Katie attended the Peter Jones Enterprise Academy, where she set up Altruist in 2013. Altruist was formed with the vision of achieving ‘parity of esteem’ between physical and mental health in the workplace. It’s aim is to increase knowledge, encourage conversations and build confidence around the issue; thus ensuring healthy, motivated and more productive workforces. Since then, Katie has won various awards including the New Entrepreneurs Foundation ‘Future Face of Business’ and Entrepreneurial Spark’s ‘Most Accelerated Business’. She also enjoys public speaking and recently delivered her first TEDx Talk on the subject of mental health. She has been featured in The Guardian and Evening Standard Newspapers and regularly blogs for the Huffington Post. Katie is also one of the five finalists of the 2017 Social Entrepreneur of the Year Award, that were selected from the Lloyds Bank Social Entrepreneurs Scale Up Programme, in partnership with the School for Social Entrepreneurs. More than 200 social entrepreneurs applied for the programme, with only 40 gaining a place. Following a competitive application process and a Dragons’ Den-style panel, the judges then picked five finalists to run for Social Entrepreneur of the Year 2017 – based on the impact they create, the growth they have achieved and the potential of their plans.